On February 13, 2013, Maldives former Pres. Mohamed Nasheed took refuge at the Indian Embassy after a court ordered his arrest for not attending a hearing on charges that he illegally ordered the detention of a senior judge, a move that led to his ouster in 2012. Mohamed Nasheed, (born 17 May 1967) is a Maldivian politician who served as the fourth President of the Maldives from 2008 to 2012. He was one of the founders of the Maldivian Democratic Party (MDP) where nobody else have survived as a party leader. 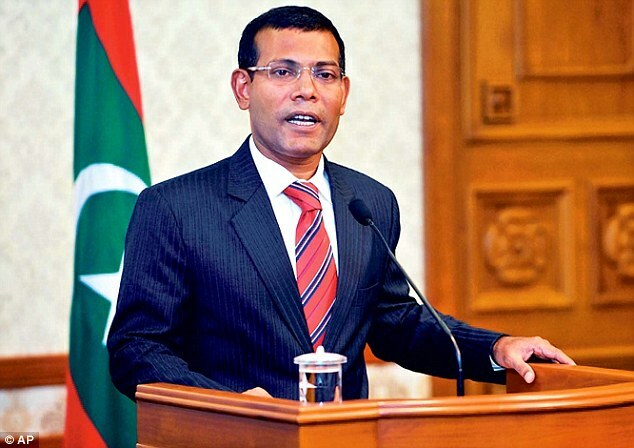 In the 2008 presidential election, Nasheed was elected as the candidate of the first opposition coalition defeating President Maumoon Abdul Gayoom, who had ruled the Maldives as President for 30 continuous years since 1978. Nasheed assumed office on 11 November 2008. On 7 February 2012, Nasheed resigned as president.